Bureaucratic approvals continue for Channel Island Harbor plan. Coastal Commission validates Ventura County’s acceptance of state agency’s certification and modifications. UKIAH — The California Coastal Commission returned service in the bureaucratic ping-pong between the quasijudicial state agency and local government entity by validating Ventura County’s acceptance of the commission’s certification and suggested modifications of the proposed Channel Islands Harbor Public Works Plan (PWP) on Oct. 6. Ventura County is looking to amend its PWP to redevelop Casa Sirena Hotel and the adjacent Channel Islands Harbor area. Commissioners approved the PWP amendment and suggested three modifications at their July meetings in San Diego. On Aug. 2 the Ventura County Board of Supervisors accepted the commission’s suggestions and agreed to move forward with the PWP plan as amended. The county’s acceptance of the commission’s modified PWP returned to the quasijudicial agency on Oct. 6, with commissioners unanimously approving the Board of Supervisors’ action. 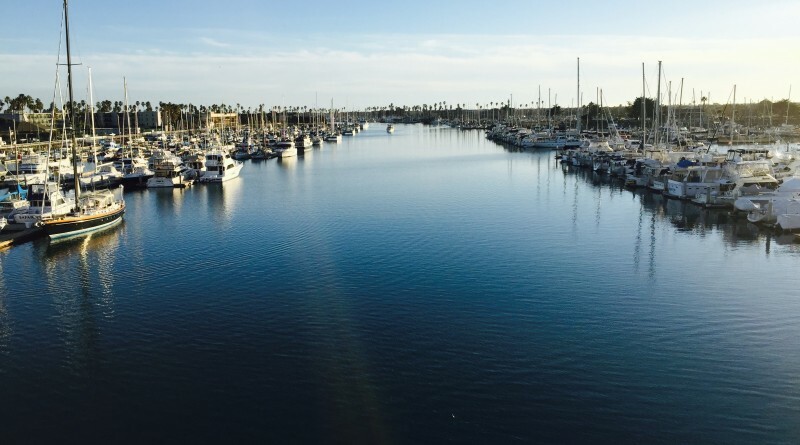 In July the Coastal Commission essentially opened the door to allow Ventura County to increase building heights as part of the planned redevelopment of Casa Sirena Hotel and other portions of the Channel Islands Harbor waterfront. The recent spate of commission and county approvals also set the tone for the planned redevelopment to include affordable hotel options. Height restrictions in the planned area of redevelopment could be adjusted to 55 feet, up from 25 feet. The PWP would also allow up to 300 hotel rooms to be built on the waterfront. A new hotel built on the Casa Sirena Hotel site could feature between 200 and 210 rooms, according to county officials. Casa Sirena Hotel was home to 184 rooms. Ventura County’s plan to redevelop the Channel Islands Harbor area, as with many other redevelopment proposals, has met with quite a bit of local opposition. Most residents said a redeveloped Channel Islands Harbor would result in gridlock traffic and diminished enjoyment of the surrounding area if taller buildings were built. Conversely portions of the Channel Islands are in a visual state of disrepair. Casa Sirena Hotel is abandoned and marquee signs at nearby Harbor Landing Village are dilapidated or falling apart. Commission staff stated a renovated hotel and harbor area would result in greater public access to the waterfront and a more efficient footprint. Casa Sirena Hotel had opened in 1972 but fell into a state of disrepair at the turn of the century. The hotel permanently closed in 2009; Ventura County assumed ownership of the hotel’s building in 2014. County officials, prior to assuming ownership of the hotel in 2014, initiated plans to redevelop Casa Sirena and the surrounding waterfront property in 2008. However plans fell apart due to that year’s financial crisis. The original Channel Islands Harbor PWP was certified in September 1986. It was amended in March 2016 to allow for more hotel rooms, increased building heights and Casa Sirena Hotel to be replaced. Commissioners held their two-day October meetings at the Ukiah Valley Conference Center in Ukiah. “Conversely portions of the Channel Islands are in a visual state of disrepair” The is an excellent description of the entire harbor. The reason it, the Harbor, is in such disrepair is that the Supervisors enabled/allowed the harbor manager to aggressively allow the disrepair for some undisclosed reason. Perhaps replacement of the manager will enable the disillusioned residents to work with the County.